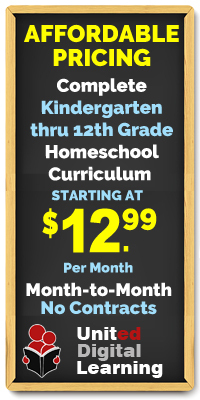 This homeschool mom makes a one-click purchase for a complete boxed curriculum which includes all the fiction and non-fiction books the child needs for the entire year, all maps, timelines, period table chart, DVDs, and consumable workbooks to go along with each subject, and brand new teacher guides and a planner. She has also found the local teacher store and purchased all of the flashcards, thematic decorations, and enough laminating pouches to seal her entire state. The mailman will have a frequent workout when he delivers the monthly science experiment kit subscription and high-end dress-up costumes for the history time periods her child will cover. She has spent the afternoon on the phone enrolling her child in gymnastics, the pottery wheel art class, homeschool debate team, Latin instruction, and private ukulele lessons. She has set up a separate debit account to pay for fueling her brand new vehicle so she can drive the kids, too. She starts the process all over for her second child. These kids will have a top-notch education for sure. But, since many homeschooling families are living on one-income, this is unrealistic and somewhat overwhelming. The Kia Model…what most of us drive. Sometimes it’s tough to be creative and figure out solutions with a tight budget, but it can be done. Here are some few ideas to help get those “Kia” wheels turning! Make friends with the librarians at your local library and a nearby college campus library, especially if the campus has an elementary education Become a master at looking in your curriculum a few weeks ahead and requesting books via inter-library loans. Train your little scholars to be thankful you’re (ahem, they are) dragging home mountains of books each Make it a little easier with a rolling cart or used book bags with padded straps. Find a budget friendly co-op to join. These groups often share the cost of bringing in a great choir teacher and work to keep the cost of all classes as low as possible. You probably don’t have time to clip coupons and study sale ads, but try to become a thrifty Stock up on basic school supplies, after the public schools have started. You can find 24 count crayons for $.25…and it’s the “real” brand, too! Fight to find a balance between researching inexpensive ideas for science and history lessons online with wishing you could order/create/have all the nifty learning toys and tools you scroll past. Create an online shopping “wish list” as a reminder of things to grab when they are put on clearance or sold second-hand. Locate a few bloggers that are willing to share neat worksheets and downloads for free. In the early years, most all science experiments can be done with simple ingredients found in your kitchen Stick with those. Sign-up to receive email updates from your state’s homeschool You’ll hear about used-curriculum sales and individuals trying to unload their textbooks, microscopes, musical instruments, learning toys, etc. Hire a high schooler to teach music It will be considerably less expensive, albeit a little less professional, but both the teacher and student will learn a lot. Set up a separate debit card account and put a little money as often as you Only use it when you can’t find that necessary textbook used. You’ll be surprised how quickly a few dollars adds up! Make a few phone calls or dig around online to see if your local community college allows high schoolers to take Where I live, high school juniors and seniors can take up to 18 college credits for free each year and transfer those credits to any university when they graduate. (Hello, I don’t have to teach upper-level chemistry or underwater basket weaving!!! And finally, when the grandparents call to ask what the kids want for Christmas or birthdays, suggest a family membership to the science museum, the nearby rock climbing gym, or other indoor experiences that would be a great place to go during those tough winter days! 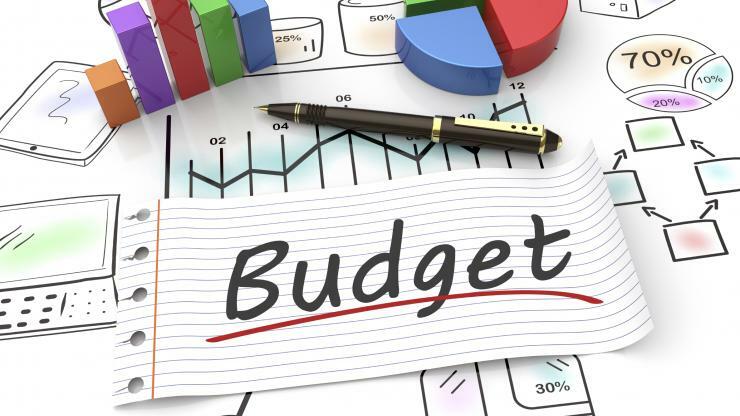 Another excellent option for homeschoolers on a budget is online curriculum. Besides being affordable, online programs can offer up-to-date, state-of-the-art learning in a flexible format. Students can learn at their own pace and according to a schedule that best suits their family’s needs. Two excellent sources of online curriculum are Global Student Network and United Digital Learning. Both of these one-stop shopping sites offer multiple curriculum options. The difference is that United Digital Learning offers curriculum for a monthly subscription – a world of learning at your fingertips for as low as $12.99 a month! So, Team Kia, your kids will also have a top notch education. Make sure you have your essentials covered, sprinkle in a few fun things to keep your days fresh and keep your chin up! Don’t be discouraged and fall into the trap of comparing your situation to the other families around you. Lindsay Banton is a caffeinated mother to three great kids. She never expected to homeschool, but has found that it is a wonderful addition to their lifestyle and wouldn’t change it for the world. In addition to homeschooling, Lindsay works alongside her husband in campus ministry at a large university in Connecticut. She grew up in Virginia but has settled into life in New England, learning to love the long winters, cool springs, green summers and gorgeous autumns- and has built a boot collection to meet all the demands. She is currently blogging at www.oaksreplanted.blogspot.com.